Fine ruby and diamond ring. 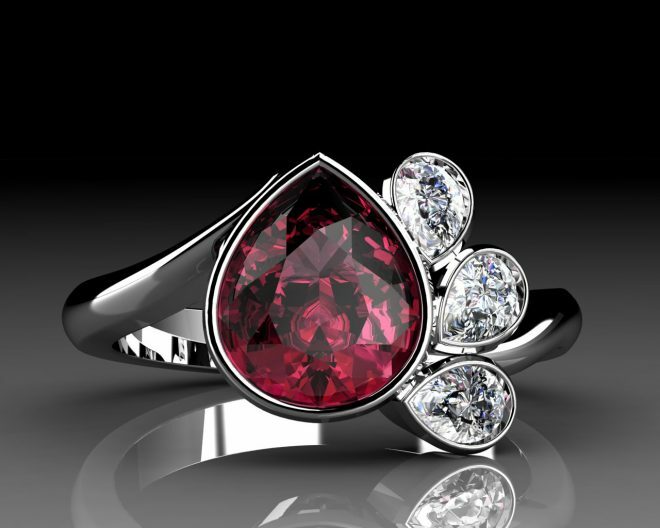 This pear shape ruby and diamond spray ring was designed for a good customer, who wanted to commission a ruby ring, to commemorate the memory of a friend. She was shown a large selection of loose rubies and she chose this superb, pear cut gem, which is a very good, deep red colour. We produced a number of different design ideas and she chose this asymmetric proposal, which has a spray of three pear shaped diamonds coming from one side.